We have a written a number of books on the local history of this area. Several of the publications are available for sale from this website – see our NEW Book Shop below and click on the covers for further details. Also featured are some other recommended titles on local history in this area. 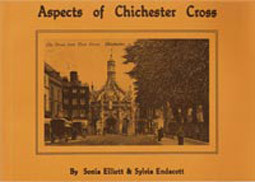 This publication contains over 110 pictures of the 1950s, many new images which have been supplied by those visitors and residents of the town who remember the 1950s. Accessibility by train from London was a major contributor to the number of visitors in the resort’s early years. Coaches and Sunday school outings then came into prominence, followed eventually by the arrival of the car. As leisure time and money became more plentiful for all, a Sunday outing was replaced by a week at the seaside, then a fortnight’s break. Today many people choose Bognor Regis for a weekend away or a four day mid-week break, spending their main holiday time abroad as is the current fashion. Whatever the reason, the attraction of the sea is still strong and will continue to draw people from the towns and cities to the beaches for a paddle in the sea. Bognor Regis continues to attract visitors to its friendly beaches and by its regular appearance at the top of the National Sunshine League. Butlin’s: 75 Years of Fun! Synopsis: After successfully developing a series of funfairs, Billy Butlin progressed to opening holiday centres and hotels across the UK to provide families with an inexpensive but entertaining holiday. This nostalgic selection of images, many published here for the first time, illustrates the history of the various camps and hotels, including all of the things we associate with this most British of establishments. From Redcoats to water worlds, and from the Glamorous Grandmothers competitions to National Talent contests, this book provides an enjoyable and nostalgic trip down memory lane for all who know and love Butlin’s, allowing us a glimpse into the social history of this quintessential British holiday. Sylvia Endacott and Shirley Lewis worked for Butlin’s for a joint total of forty-five years. Now retired, they are local historians who compile historical displays for events in Bognor Regis. Transformed by Sir Richard Hotham to a seaside resort in the 18th century, Bognor Regis is one of the most well known seaside towns in the entire British Isles. This new title from renowned local authors Sylvia Endacott and Shirley Lewis delves deep into the town’s past, comparing rare archive photographs of Bognor’s most famous locations over the last 200 years to the same scenes of today, showing how much or how little has changed. 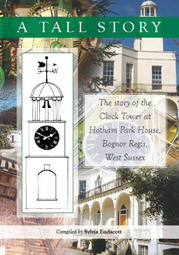 From Hotham Park House and The Ship Inn to the Esplanade Theatre and Waterloo Square, Bognor Regis Then & Now captures the essence of the town and its people, detailing the evolution of the town over the years in a comprehensive and unique new way. With detailed and informative captions accompanying each pairing of photographs, this evocative new volume will awaken nostalgic memories for all who know and love this iconic seaside resort. Bognor Regis is today a thriving but relaxing seaside resort. Illustrated with over 200 images this fascinating book depicts the growth and changes to the town and its surrounding villages from its earliest origins up to the 1970s. Bognor was founded in 1787 by Sir Richard Hotham who was looking for an area for his retirement. His legacy lives on in the town where he was instrumental in the development of splendid Georgian buildings. King George V bestowed the name Regis to the town when he convalesced there in 1929 as recognition of the ambience, facilities and general well-being he enjoyed in and around the area. As well as having one of the oldest piers in Britain the town is known for Billy Butlin and the impact he made to bring bucket-lads of holiday makers to the resort. 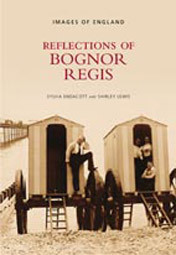 Visitors and residents old and new will take equal pleasure in reading this book at leisure, looking at the people and the buildings over the centuries that have made Bognor Regis what it is today. During 2007/8 Heritage Lottery Funding, SITA Trust funding, and partnership funding from Arun District Council and Hotham Park Heritage Trust was granted to carry out repairs and renovations to Hotham Park. Monies were also received to carry out repairs to Hotham Park House Clock and Tower. People who use the park are mainly concerned that the clock strikes on time, but have no real interest otherwise. Our intention here is to show that the tower and clock ‘at the end of the house’ is more than a timepiece, but is part of our Heritage. Over the years I have written a number of articles in the Bognor Regis Observer about the Park and also the Clock Tower which has always interested me. I have therefore collated a number of images that have been taken of aspects of the clock tower but that are generally unseen by you the reader of this publication. This book was originally published in 1942 and was the story of Gerard Young constructing his garden in Flansham. The book was out of print for many years and thanks to his family it was reprinted in 1988 by Sylvia Endacott. It brings alive his story telling and enjoyment of working on his cottage and garden.